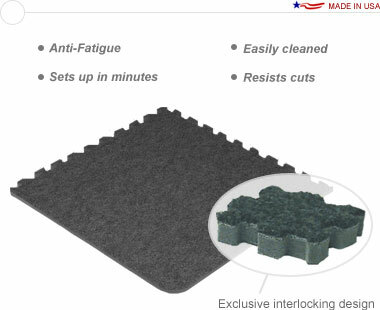 A portable flooring set of premium-grade, interlocking carpet tiles. 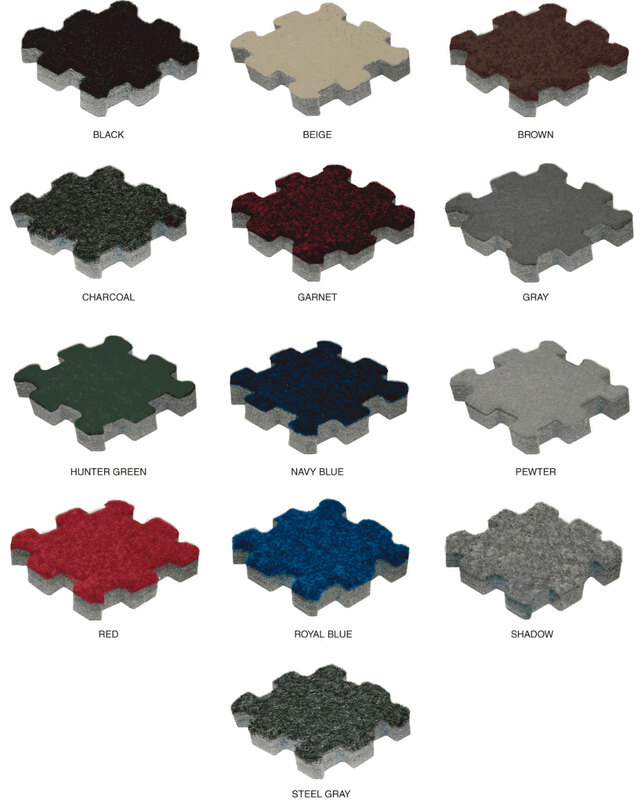 It sets up within minutes as a near-seamless 10′ × 20′ floor and is available in thirteen colors. Beveled edging available for an additional charge. 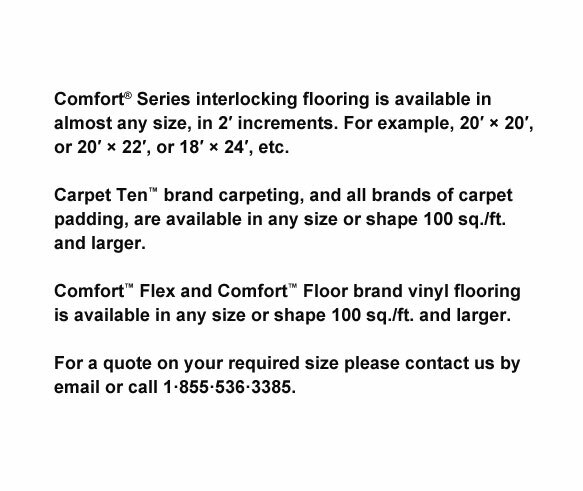 Comfort Carpet Plus™ provides an anti-fatigue floor, providing comfort to both trade show attendees and staff. It features an extra thick plush surface that is easily cleaned before and after the show, and will last years with minimal maintenance.